What beautiful weather for spring cleaning! I cleared out Jack's room today, and gave everything a good clean. So satisfying! I need to get him some new pics for his room, so will think about that during the week. I have been inspired by watching episodes of The Block 2011. We didn't watch this series the first time round, so it's all new to us. I'm loving how they spend a week TOTALLY transforming rooms. It got me thinking, if they can take rooms from wipeout to amazing, then I can give our house a do-over without anywhere near as much effort and money!! Surely?? We need to do our kitchen, bathrooms, laundry and master bedroom! So I'm going to watch these programmes very carefully to see how it's done - especially the laundries because they have done exactly what we want to do! But first, the master bedroom! I've been planning to do this for awhile and just never seem to get to it. LOL I love watching The Block et al for ideas but I think I lack the know how and the budget to do anything about it! 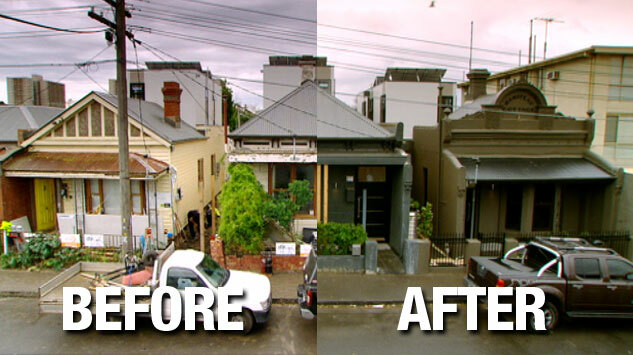 Some of the contestants on the block weren't that knowledgeable about renovating, but they knew their stuff by the end of it!